Sub-creating Arda: World-building in J.R.R. Tolkien's Works, its Precursors, and Legacies, Dimitra Fimi and Thomas Honegger (editors), Zurich and Berne 2019, Cormarë Series 40, ISBN 978-3-905703-40-5. Cover illustration by Jay Johnstone. I am hearing that this book will be published in February 2019. 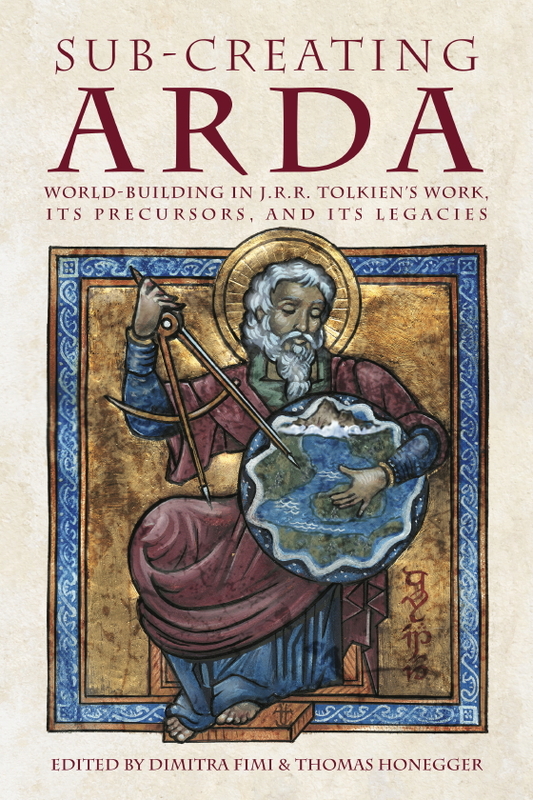 The contributions to this volume by Tom Shippey, John Garth, Mark J.P. Wolf, Kristine Larsen, Andrew Higgins, Allan Turner, Gergely Nagy, Renée Vink, and a dozen other scholars, discuss not only Tolkien's theoretical concepts as well as his literary work but also explore the relationship between Tolkien's approach with that of other 'literary world-builders' whose imaginary worlds have attracted readers and scholars alike.